This is my precious son Levi. For those of you who don’t know, Levi was a twin. His twin Lael’s heart stopped beating at 17 weeks in my womb last year on July the 18th, 2017. After Lael went to be with Jesus, it was as if our whole world had turned around. On December the 29th 2017, we delivered little Levi and received so much healing from the loss of his brother. We were able to hold both of our boys and have closure. The day before being discharged, Levi’s nurse noted that he was taking longer for his blood to clot and had more bruising than normal. After being assessed further, Levi was found to have thrombocytopenia which is a fancy word for having low platelets. Platelets are the cells in our blood that help us stop bleeding when we get a cut or are injured. Levi was then admitted into the neonatal ICU and remained there for 6 days. There, the pediatric hematologist initially believed that this would resolve itself with one transfusion. 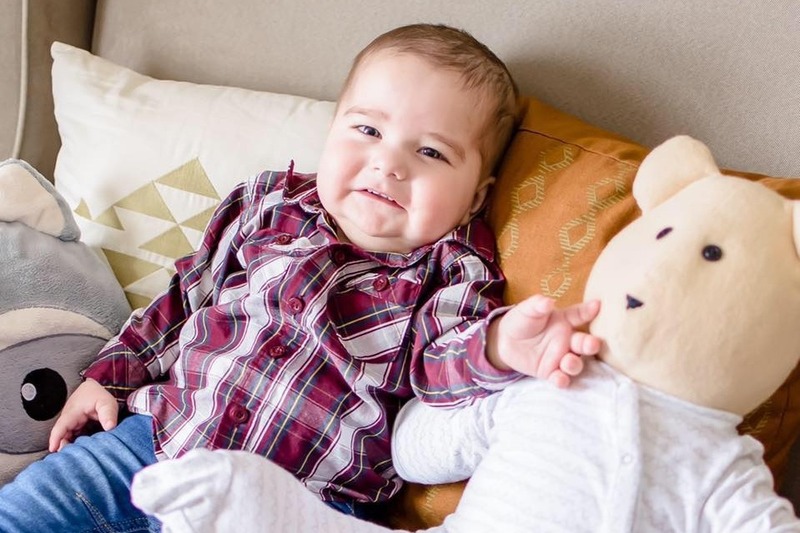 Unfortunately, Levi is now 14 months old and still receives at least weekly transfusions. In his little lifetime, he has had PICC lines in his foot and arm and now has a double lumen broviac in his right jugular. Levi had a bone marrow transplant on August 2nd, 2018 and is having a second one on March the 7th, 2019. None of his doctors to date have had a case like his and he remains undiagnosed. 1. PRAY for Levi, Dwight and I and all of his medical teams to have God's wisdom. Even though Dwight and I did not see the physical healing of our other baby Lael, we still wait and believe for Levi’s healing. My prayers have gone from asking God for healing to simply seeking the healer. With that said I have the faith for Levi’s healing and believe for a miracle but am seeking THE miracle giver not just the miracle. In that miracle, we seek answers to his genetic variance and are praying that if anyone who might see this has heard of the condition or understands a known treatment that it may come to light. 2. Please consider donating to help cover the continual medical costs. The expenses have been what seems never ending but we know that God alone is our provider. We have paypal and venmo if you’re interested in donating. *Any donations that exceed our medical costs will be paid forward to another family in a similar situation. 3. Consider visiting bethematch.org and see if you are a match for someone else on this Earth and can save their lives. 4. Share this page and Levi’s story so we can find a cure/proper treatment for our baby boy. We are hoping that someone out there has had a similar situation.